The way marketers measure success seems to change about as quickly as my computer makes me change my password (usually about the time I finally memorize the old one). One day, it’s traffic. The next day, it’s engagement. The day after that, open rate. It’s enough to make your head spin. The B2B world, in particular, has seen an interesting shift in how marketers view success. While website traffic is a common success metric for B2B marketers, more and more marketers are responsible for reporting on marketing qualified leads and marketing-assisted sales through their content efforts. Content marketing isn’t just a brand awareness play. It has the power to grow a business. This post explains how you can turn your content into a lead-generating machine and see more meaningful results. A lead is someone who is likely to value, and eventually purchase, the products or services your company offers based on a set of predetermined characteristics. If this person is a good candidate to become a customer (which can be done through a lead scoring process), a salesperson might pursue the lead by sending an introductory email or dialing a cold call. But here’s the thing about cold calls: Salespeople don’t really like making them and consumers don’t really like receiving them. 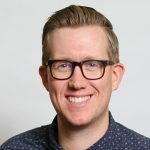 They’re certainly an important part of the sales and lead-generation process but, at best, the effectiveness of cold calling has been stagnant over the last five years, according to sales and marketing expert, Toby Marshall. At worst, it has seen a moderate to dramatic decrease and no one is lining up for its funeral. Content and inbound marketing can reduce the need for cold calling. Quality content brings people to your website, converts them, nurtures them and ultimately turns prospects into qualified leads. Then the sales team can do their magic to make the deal. So what does lead generation with content look like? Lead generation is simply a process by which prospects exchange information about themselves (name, title, email, etc.) for valuable information, which could be an eBook, template or other helpful guides. And if you have an effective way to capture that information, your content will start generating meaningful results. The reason lead generation and qualification is important is the same reason content marketing has garnered so much attention over the last few years: Providing your prospects with useful, valuable information is an extremely effective way to both establish credibility as a brand and build invaluable trust between you and your audience. 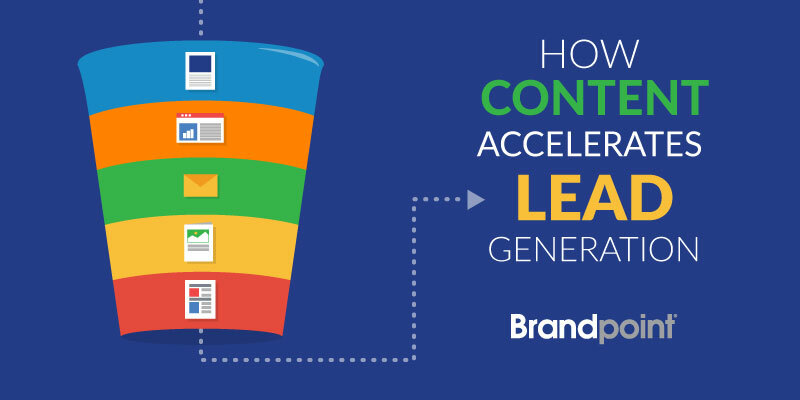 Coincidentally, content marketing is the clear winner when it comes to lead-generation tactics. According to a study by Content Marketing Institute and Marketing Profs, 68 percent of responding B2B marketers successfully generated leads and 58 percent successfully nurtured leads through their content marketing practice. 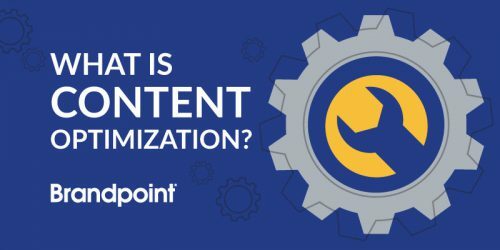 With that in mind, let’s take a look at five pieces of content and how to turn them into lead-capturing and lead-qualifying machines. Automated emails do a lot of the heavy lifting when it comes to lead generation, especially if you’re implementing a marketing automation program. It’s so powerful that 71 percent of B2B companies use email marketing for customer acquisition and 68 percent use it for customer retention, according to Act-On and Gleanster research. Although it doesn’t take much to sign up for an email newsletter, it’s at least a small indicator someone is interested in your brand and your content. It’s also a good way to nurture your prospects and allows an easy way to communicate directly with your audience. If you’re producing “heavier” pieces of content, like e-books, case studies and whitepapers, your automated emails are a great way to encourage further engagement with your content. By tracking your audience’s interaction with those emails, you’ve got an efficient way to both distribute content and qualify leads. You can gate an e-Book because it typically contains the kind of information a prospect would pay for. PricewaterhouseCoopers actually predicted eBook revenue will reach just over $8.5 billion in 2018. However, for your organization, the most valuable currency for your content isn’t money. It’s information. For an in-depth eBook, give your audience the option to download it in exchange for their name, email address and perhaps a couple other pieces of information you find useful such as the name of their company and their industry. Your prospect will happily share some information about themselves in order to access valuable insights and useful tidbits, and you get valuable info about the people who are most interested in what your brand has to say. Case studies showcase stories and results of your work with customers. They’re more in-depth than a testimonial, so can paint a clear picture to prospects of how your company works and achieves results. They’re typically less time-intensive to create than an eBook and are incredibly valuable to prove your company’s successes. 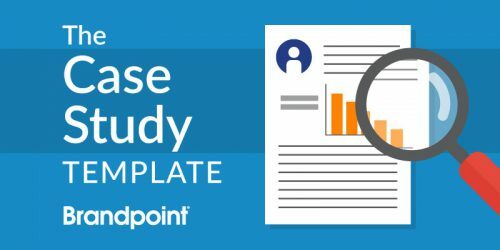 Some marketers say a case study is informative and relevant enough to gate it. Others say case studies play such an important role in building credibility that it’s silly to put a barrier between the case study and your audience. Which one works best for you depends on your industry and buyer personas, how many case studies you have and what other kinds of gated content assets you offer. In any case, make sure you’re able to track who is interacting with those case studies and try featuring at least two to three case studies for every product or service you offer. Knowing which ones a prospect looked at can give you and your sales team a better understanding of where to start the conversation. When you think about it, your entire website is one giant piece of content, serving to engage and inform your audience through images, video and copy. While it may seem a little redundant, there are a few ways a landing page can serve as a lead-generation tool. The most obvious way is to build a landing page that hosts your gated content forms. While an e-book is the food, your landing page is the plate that presents it. Make your gated content landing pages easy to read and navigate, and make your calls-to-action easy to find. Another way to use landing pages as a lead-generation tool is a pricing page or a “Contact Us” page. These pages must also be very well designed, easy to use and understand, and include clear CTAs. Blogs are commonly the first thing that comes to mind when marketers talk content. They are also commonly the first thing marketers are skeptical of when the main goal is lead generation. Blog posts give your brand more opportunities to appear in search engine results than if you just published service pages, case studies and gated content. By targeting keywords and answering questions that are relevant to your audience, your content may rank in search results. This is a great way to gain brand awareness as well as begin the digital conversation with prospects. If your blog posts establish your company’s expertise in the industry, then a user may sign up for a newsletter, continue to browse other blog posts or download a gated piece of content. 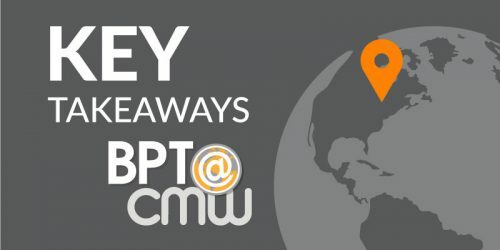 With more blog posts, you’ll also have more opportunities to earn backlinks to your site, which will bring in more web traffic and boost the SEO value of your website. AND blog posts can be used in other pieces of content. You can feature blog posts in a weekly email newsletter, link to posts in an eBook, salespeople can send prospects links as part of their conversation and you can repurpose blog posts into many other types of content. If lead generation is the ultimate goal, marketing automation is the ultimate method. This is an obvious benefit, seeing as “automation” is in the title. But the ability to configure certain emails to send out after certain actions (like signing up for your blog or downloading an e-book) makes this an undeniably awesome feature. Organizations that have a lead-scoring strategy experience a 77% boost in lead-generation ROI. Assign different content types different lead scores and watch them travel down the pipeline right into your sales team’s lap. You can’t measure a return if you don’t have the proper way to track it. Marketing automation, with all its bells and whistles, also comes with the tools to capture all the right insights you need to make better decisions in the future. Marketing automation is also helping organizations find better alignment between marketing and sales, making it a good fit for a robust lead-generation strategy. Though it might be a bit of an undertaking, it’s turning out to be a lead-generation juggernaut. What’s your lead gen strategy? Customers are clamoring for a better experience, one where they don’t get cold-called or aren’t given the hard-sell. Whether you’re going to start creating more content or dive right into full-scale marketing automation implementation, lead generation and a robust content marketing practice are effective antidotes. And they’ve earned a head spot at the marketing table. Editor’s note: This post was originally published in April 2017 and has been updated for relevancy and comprehensiveness.